Whether you play tennis recreationally or professionally you’re going to need a tennis backpack. Unlike many other sports, tennis requires all manner of on-court apparel that has to be on hand mid-match. Equipment ranging from tennis overgrips, a spare pair of trainers and even the odd spare racket are all items that most tennis players should have with them while in court. 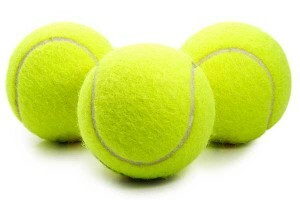 Most people think that playing tennis is all about having a good tennis racquet. Although that is indeed right, there is nothing like having such backpack. Tossing all your tennis gear – tennis racquets, tennis clothes, shoes, spare racquet, towels, sweatbands or sports medications in one place not only helps keep your essentials safe but make it easier for you to access them whenever required. To choose one of the best tennis backpacks, take a look at some of the backpacks for tennis listed below in this guide. This large backpack is perfect for practice sessions and match play alike. It has plenty of storage in its main compartment for towels, cans of tennis balls and even a spare pair of trainers. It also comes with a sleeve that can hold up to two tennis rackets with head covers. There are also two large pockets on the side of the bag for drinks bottles, with one pocket being made out of a thermo-guard material to protect certain equipment, like spare grip tape, from extreme weather temperatures. In addition, there are also two smaller pockets on the side of the bag and an interior zipped compartment for valuables. The bag itself is made out of a quality material as can be expected with an established brand such as Wilson and features extendable straps so that this bag can fit both children and adults alike. Can fit both children and adults alike. A compartment located on the bottom of the bag takes space away from the main compartment when used. The zips can sometimes split if the bag is overfilled. Racket handles are exposed to the weather if they are not stored in a full racket case. Click here for latest pricing details! Much like the WILSON Tour Large Tennis Backpack, the 100 Year Tour Backpack is a fantastically spacious bag that sports an updated luxurious look. To celebrate 100 years of Wilson, this backpack is made out of a type of faux leather that makes it both waterproof and durable. 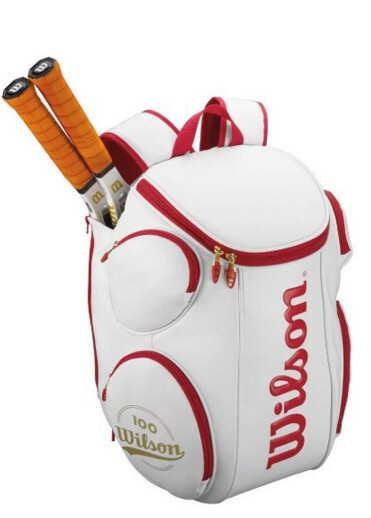 Aside from its great looks, this bag has the same quality features of the WILSON Tour backpack that include the roomy main compartment, side pockets and racket sleeve with room for two adult sized rackets. Be aware that the white colored faux leather can get dirty relatively easy and should be cleaned with the relevant leather cleaning products. Looks stylish and is mostly waterproof. Can get dirty relatively easy. While not as big and spacious as the large WILSON tour backpacks, this HEAD backpack offers enough room for the recreational tennis player. It is made of quality polyester and comes complete with a moderately sized inner compartment complete with an accessory pouch. It should be noted that this backpack can only hold one tennis racket and is therefore only intended to be used by those who want a quick hit on the tennis court without taking all another manner of equipment such as a spare tennis racket. This backpack has a few smaller pockets and pouches on the front of the bag for phones, keys, and wallets and also boasts a wet clothes and shoe compartment. It is worth noting that despite the extendable straps, this backpack is a little on the smaller size. Ideal for the recreational club player who does not want or need masses of equipment. Plenty of storage space for drinks bottles, tennis balls, and a tennis racket. It is on the smaller size for tennis players who need more than one racket and a wide variety of extra equipment including spare shoes, clothes, and socks. It is not the biggest bag on the market which could be problematic for some adults. 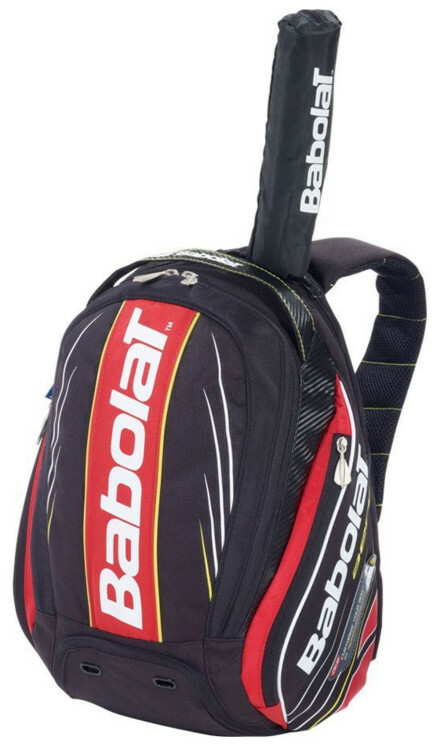 The Babolat Aero Line Backpack boasts an incredibly stylish design that will make you stand out in court. 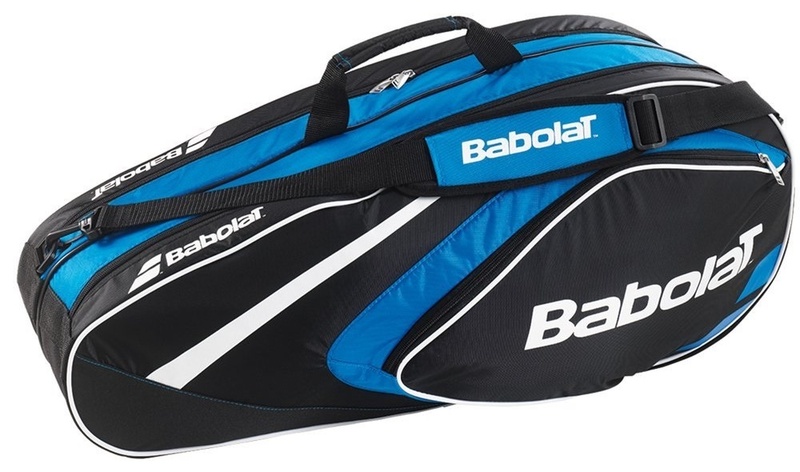 It comes complete with a spacious 27-liter capacity main compartment, racket holder that can fit one adult sized tennis racket and two pockets for accessories. It also has a large pocket for spare clothes and two side pockets for drinks bottles. 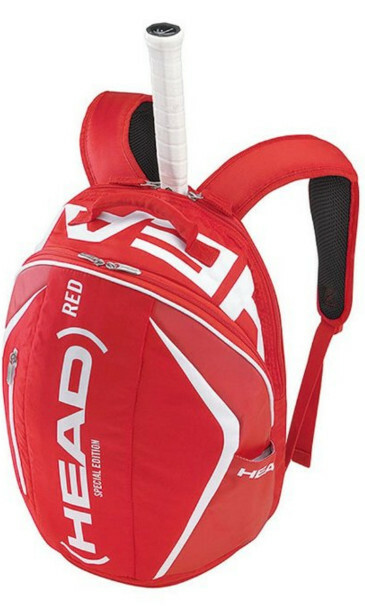 Aside from its look, this backpack also has one unique feature in that it contains a grip protector which, when stored in this backpack, protects the racket handle from the elements. It is however not as big as the large WILSON backpacks, and might not fit on the shoulders of all adults. Comes with a racket grip protector. The shoe compartment on the bottom of the bag takes room away from the main compartment when used. 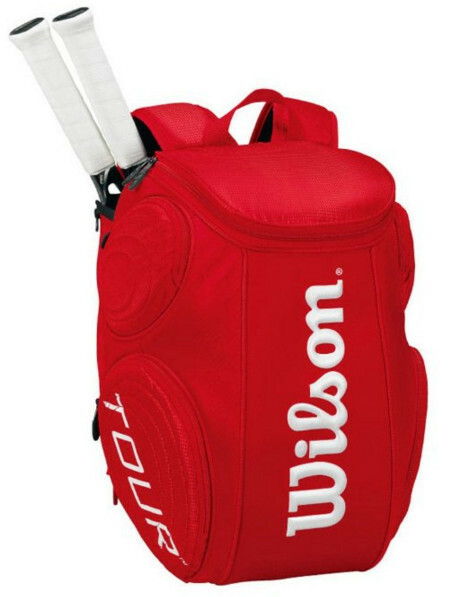 While this is not a typical backpack it is a bag that certain tennis players will find more than useful. For those who play tennis regularly and competitively this bag is more than a match for their match play needs. The bag comes complete with two main compartments that can store up to six rackets which are important for frequent string breakers! There is one main pocket on the front of the bag for accessories but it is worth noting that this bag does not boast the same amount of storage compartments as a traditional backpack. Furthermore, this bag is very large and can be quite clunky to get around as it rests on one shoulder. The main compartments inside are also ill-equipped for holding water bottles and other such equipment. Folds up to six rackets. Could be too big and clunky for the average club player. Does not have many compartments for accessories and other items such as drinks bottles. Rests on one shoulder which can be uncomfortable after a time. Choosing any of the above listed best tennis backpacks can play a crucial role in helping a player to play the game comfortably and enjoy their sports session. Apart from helping a sports person to store his belongings safely, using a backpack for tennis can help add a style statement to the personality of the person. Since tennis is one of those outdoor games that can add new energy and zing to your life, investing these backpack is one of the best ways to get the most out of your favorites. But if you don’t feel ready to buy one of those backpacks, consider acquiring a regular daypack instead. After all, while not exceptionally suitable, they would still do the job.